Hopefully you know where Naramata is, especially if you are from B.C. But, if you don’t – then here is a little map to give you perspective. It is located just 4-5 hours east of Vancouver on the East side of Okanagan Lake in the Okanagan Valley. The entire Naramata Bench sits along the lake, getting full sun exposure on a mix of soil from granite, clay, sand, etc. 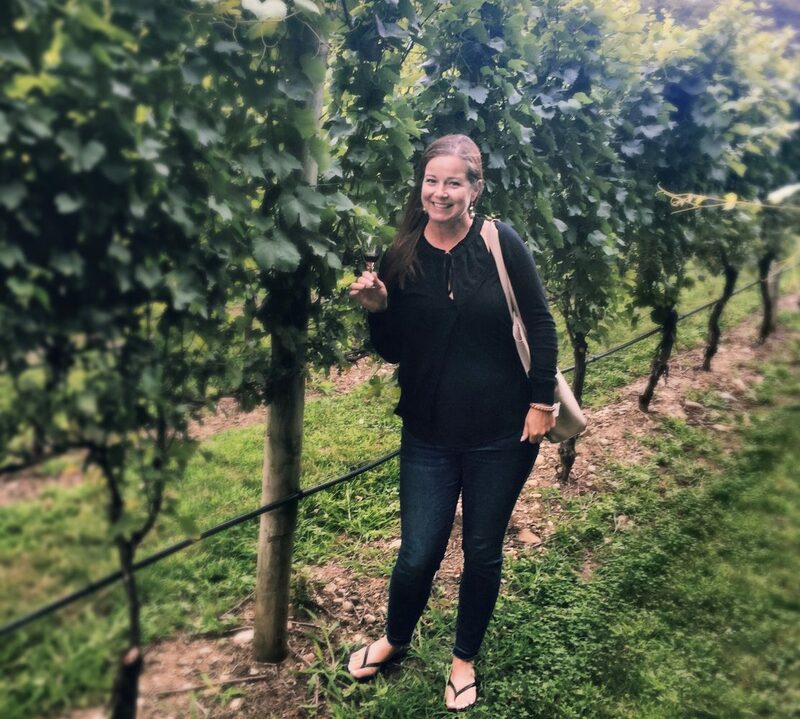 I’ve written about my adventures here before, however, this time I want to concentrate on two wineries that focus on Naturally made wines. I know “natural” might make you think “organic” which might make you think “expensive” and “not good”. BUT, I’m here to tell you, that is just not correct! Naturally made wines are absolutely delicious and unique when you’ve got good winemakers who are passionate and know their stuff. And you should know, it’s been going on for centuries in Europe. As well, in the wine world, ‘natural’ wines are trendy. We (wine nerds) love exploring the uniqueness of what they offer. So, let me introduce you to Nichol Vineyards and Lock & Worth Winery. Let’s start with Nichol. Did you know they have the oldest Syrah vines in Canada, planted in 1989 (no I didn’t make a mistake typing!)? It started when previous vineyard owners toured Europe to understand which vines would do the best back in Naramata’s climate and soil, and Syrah was their winner. It’s also the flagship wine for the winery, but they produce and grow other varieties too. Their wines are a range from Syrah, Pinot Gris with skin contact (just 2 wineries in BC started this style – Nichol being one of them), Cabernet Franc, to one of my favourites because of it’s uniqueness the Pinot Noir & St. Laurent blend. “Our Vineyards and About That Syrah: Our vineyards are situated at the northern most tip of Naramata, abutting the Kettle Valley Railway, and surround the winery on all sides. The Syrah vineyard was the first to be planted in Canada and consists of 17 rows planted on granite in the north-eastern part of the vineyard. 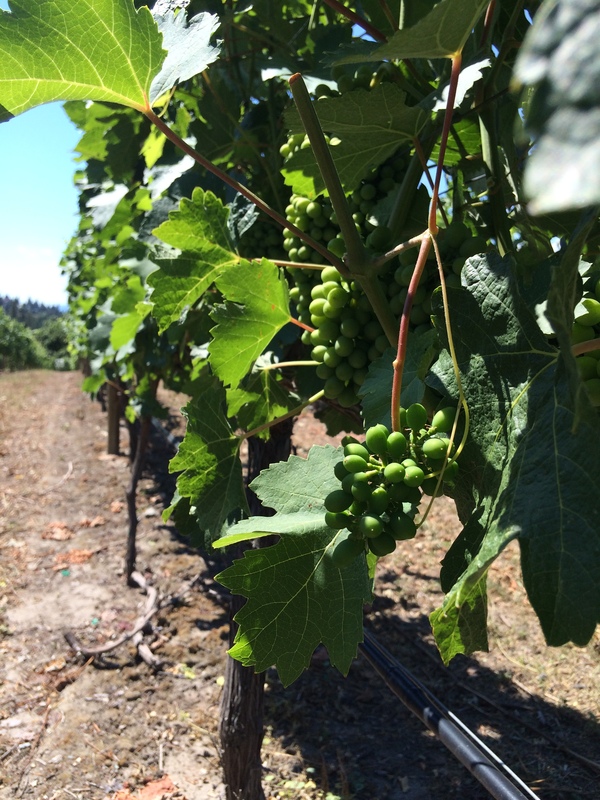 All of our vineyards are west and south-facing and range from 1400-1500 feet in elevation. The vineyard is also own rooted/un-grafted. Farming: We spend a huge amount of our time and resources farming our vineyards. The majority of our vineyard work is done by hand with minimal tractor use. We pick by hand into 10L baskets to ensure the integrity of every bunch. Our yields are very low for Okanagan and international standards. We are very close to being dry farmed (without irrigation). Having met both Ross and Matt (winemakers), I understand their slogan “true to our roots”. They not only believe whole heartedly in making wine that speaks of the land and the area but they believe in what they do. Are they just farmers? No. They are both “wine nerds” who appreciate trying wine from around the world and learning continuously while farming honestly. And most of all, they run a very un-pretentious winery – yet make some award-winning, industry respected wines. The two of them also co-own Lock & Worth Winery – which again focuses on naturally made wine, but with a modern wine nerd twist. They play more with Semillon, Sauvignon Blanc/Semillon (this one is killer good! 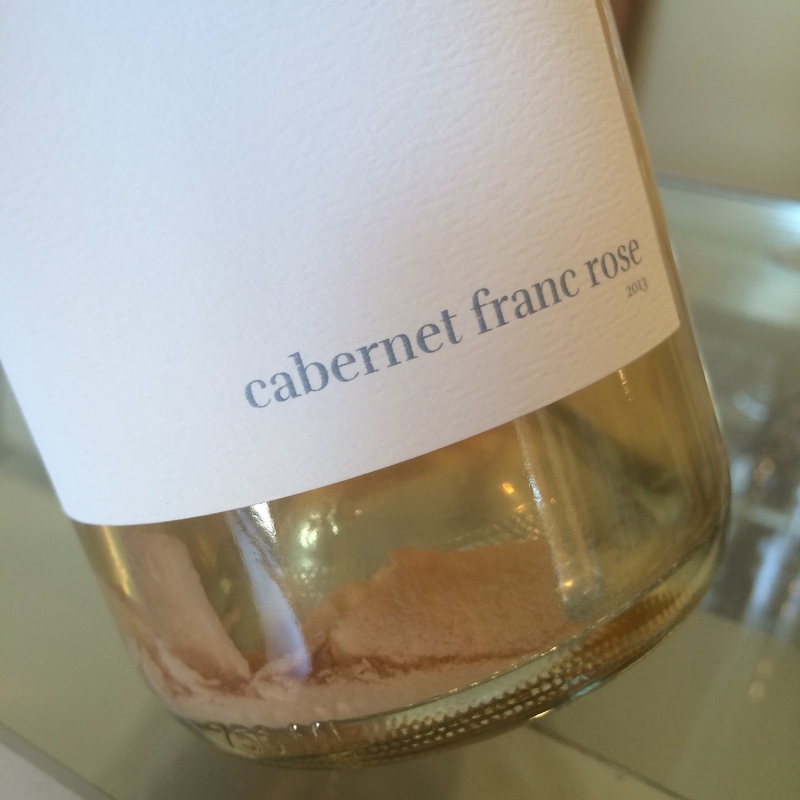 ), Cabernet Franc Rose ( I have a bottle that is unfiltered from 2013) and Merlot. They are all simply delicious. I have much admiration for a winemaker. They are not only viticulturists – they are artists, and their canvas is their palate. We are just appreciators of their art. 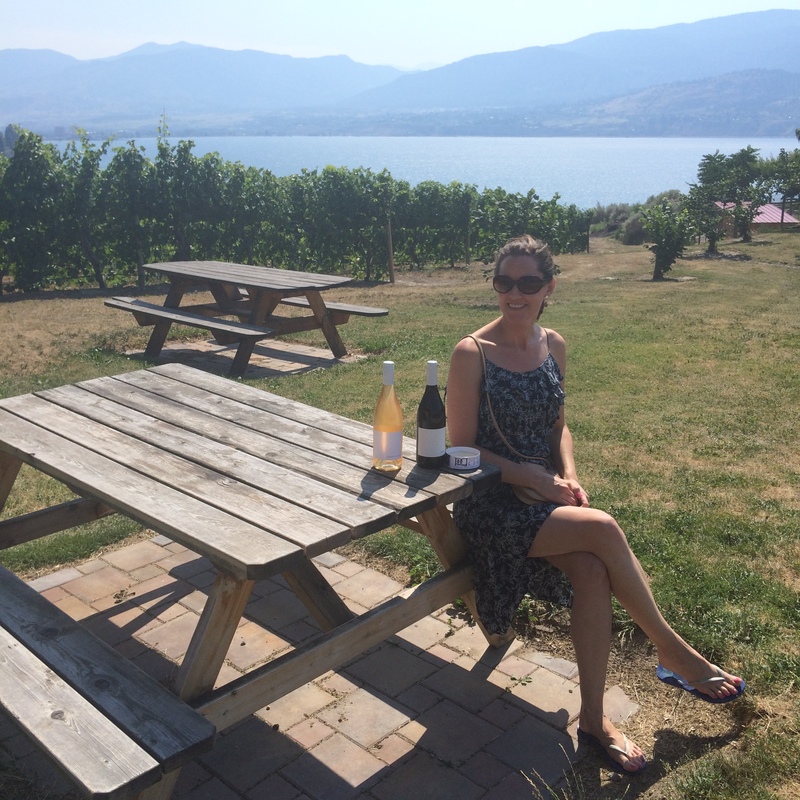 So the next time you are heading out for a weekend getaway, consider a wine tour, and visit Naramata and all it’s wineries but especially these two fantastic ones! visit their tasting room + buy Poplar Grove Cheese and picnic outside.